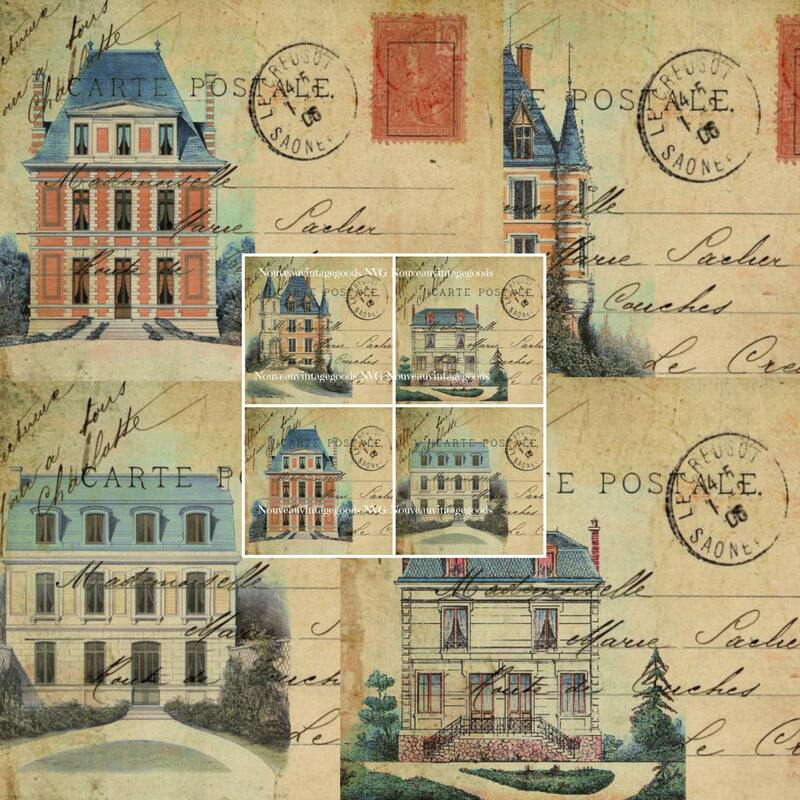 Vintage French Chateau, Carte Postale, reminding us of a distant place and time. 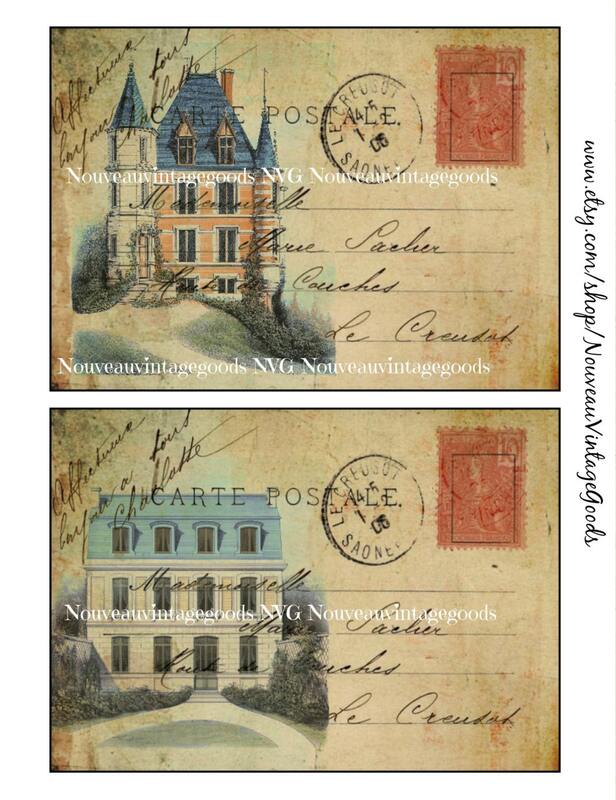 Vintage French Chateau images artistically transformed into Carte Postale. 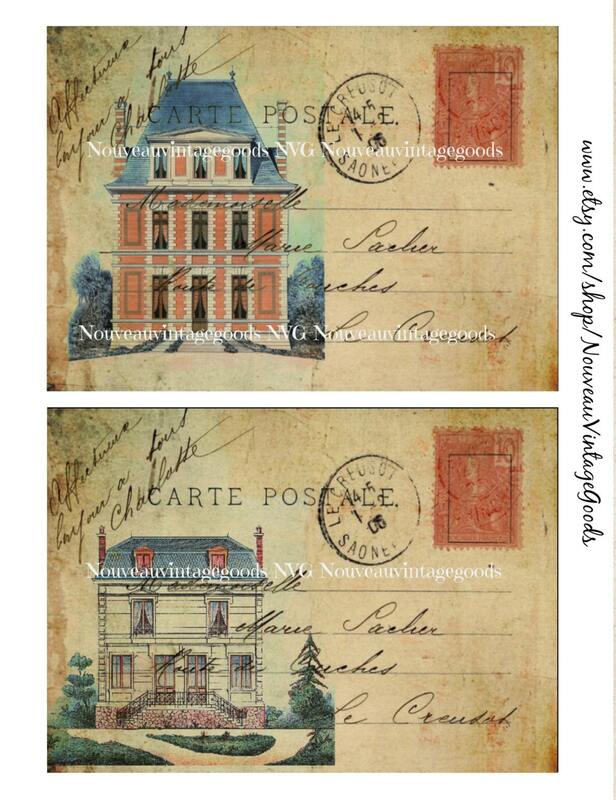 This item has so very many uses from scrapbooking to notecards to gift tags and many more. 2, 8.5x11" pages, with 5x7" images - a total of 4 different images. 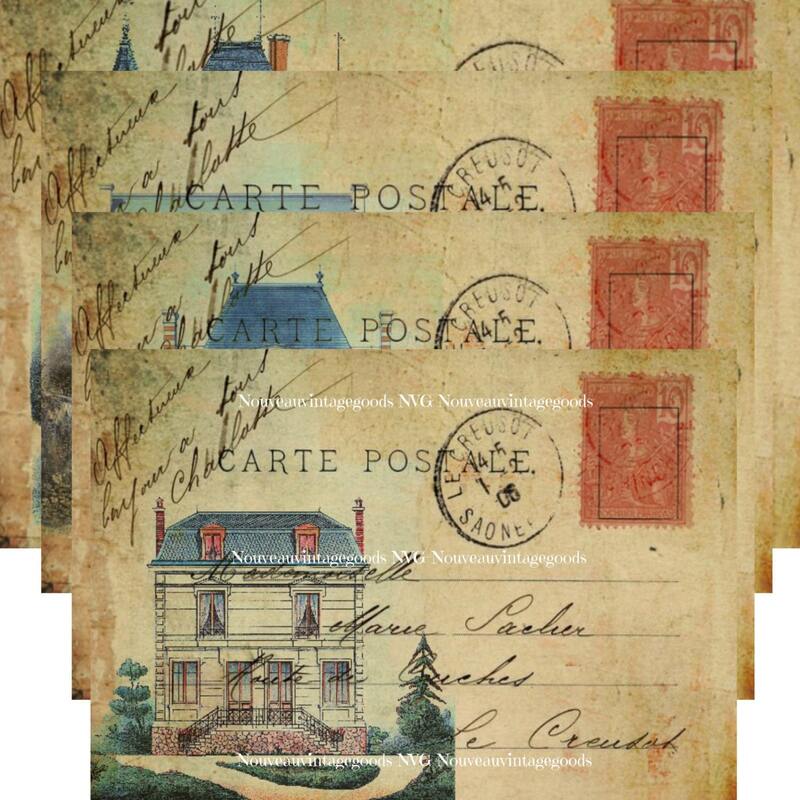 1, 8.5x11" page , with 4 mini images.